I was out doing yard work this week, and I was hot! 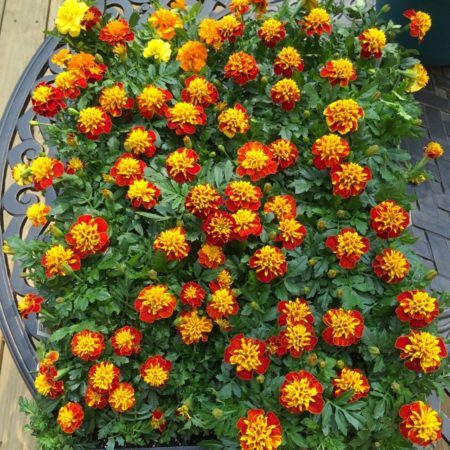 I transplanted some peppers and tomato plants that I started indoors, and I finally planted a bunch of marigolds that Eric gave me for Mother’s Day (doggy momma). Feels good to get that done because I just left for Austin to work the Paleo f(x) conference, and I’m just praying my garden will be okay while I’m gone. Summer is the time for Party after Party after BBQ after BBQ, which means Salad after Salad after Salad, and to me– this is a good thing! We love salad in my family!!!! Plus, when you go gluten-free or paleo, you will hardly find food at parties that you can eat, besides salad. Know what I mean? So I was watching the TV show the Kitchen–who doesn’t love this show, I mean come on, they are all so fun to watch!–and the handsome Ironchef himself, Geoffrey Zacharian starts SMASHING A CUCUMBER! This man, I tell you. So simple, and so perfect. I knew I had to smash a cucumber for a recipe, and I did! After smashing the cucumber like GZ did, I gently reassembled it on a platter. I later poured a lemon and parsley dressing over the top, and layered on plenty of raw sheep milk feta from the Farmers Market! Let’s talk about the cheese. Many health food enthusiasts, and Paleo dieters recommend a dairy-free lifestyle, and with good reason. I usually advise the same, unless you consider a few important things. Many Americans have dietary reactions to the sugars in dairy, called lactose, or a protein in milk called casein. In fact, pasteurized milk is arguably the most common food allergy in America. But why? 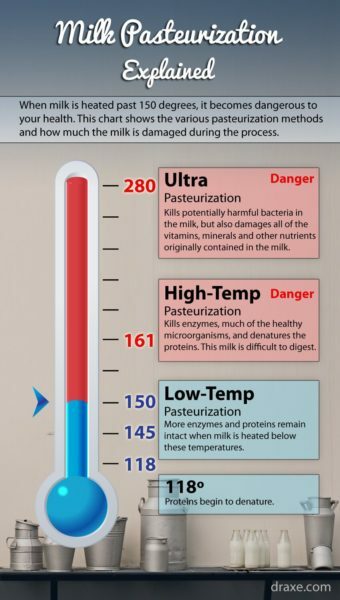 In a nutshell, the pasteurization and processing methods (homogenization) end up destroying and morphing the many beneficial qualities of milk, leaving us with a sterilized, acidic, destructive non-food. Raw, unpasteurized milk, is a different story completely. It is a health food. Raw milk is quite common all over the world, and it’s the way humans consumed milk for thousands of years before pasteurization. Sure, pasteurization was created to protect us from wide-spread disease, but better protection would be to standardize raw milk farming, and give the public the whole, raw food, like nature intended. Some benefits of drinking raw milk begin with the fact that it contains lactase, the enzymes needed to digest lactose, and whey, the anti-cancer balancing effect to the protein called casein (Mother Nature thought of these important combinations when creating whole foods). Many individuals who are sensitive to dairy, can consume raw dairy products without reactions! Raw milk contains beneficial probiotics, healing fatty acids for healthy brain function, and all of the vitamins and minerals (like calcium) that pasteurized milk claims to have–but doesn’t deliver. So, what do we do about this? Some people choose to switch over to raw milk. Customers will pay raw milk farmers a monthly “cow share” which grants them a monthly share of raw milk available for pickup on a weekly basis. 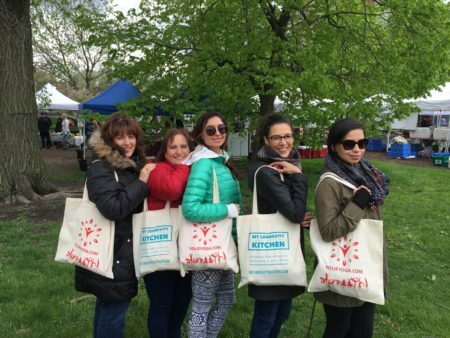 People call raw milk life changing. Maybe you should try it! Head over to realmilk.com to find safe raw milk near you. Since my family and I don’t actually drink milk, we embrace the many other forms of raw milk products, low-temp pasteurization products, and fermented dairy that are available at the grocery store. 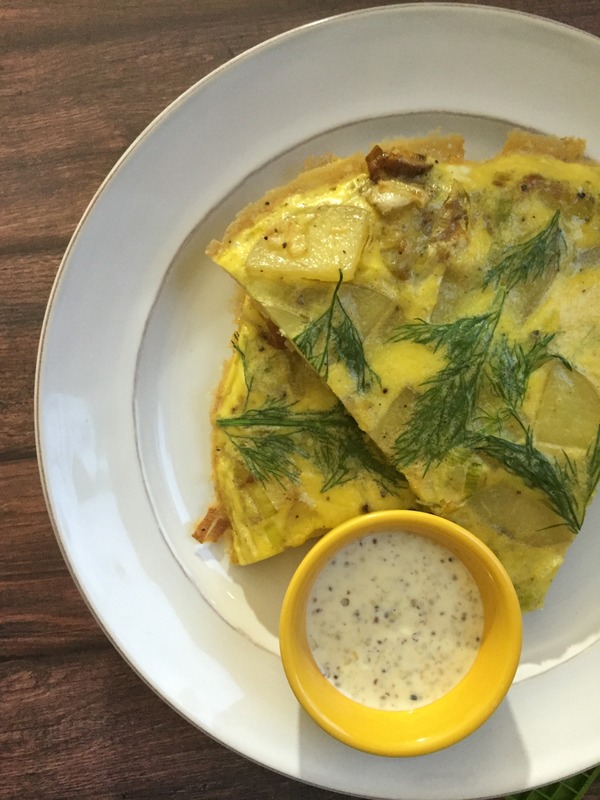 Some of these products include grass-fed butter, sour cream and yogurt with active cultures, kefir for smoothies, and all sorts of raw-milk cheeses. 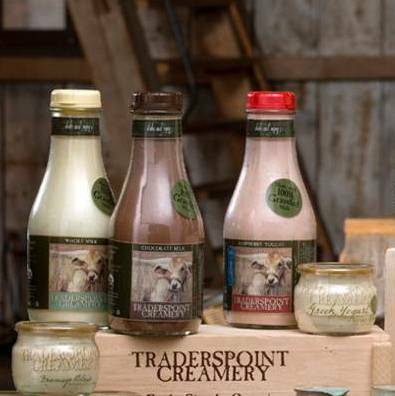 My absolute favorite brands on the market are Kalona Super Natural and Traderspoint Creamery. 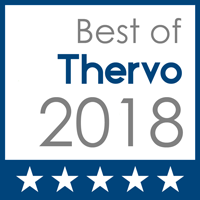 Both of these brands are organic and pasture-raised, they both pasteurize the milk at a low temperature, they do not homogenize the milk, and they use active cultures in their sour cream and yogurt. One more thing about the ingredients: Keep your eyes out for organic cucumbers, especially the plastic-sealed seedless cucumbers which are not coated in wax like most other varieties. The seedless variety is perfect for this! What a fun and convenient way to serve cucumber. 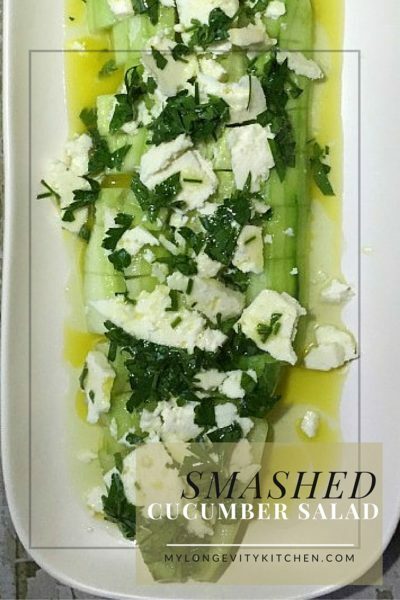 Smash the cucumber and prepare your dressing in advance. 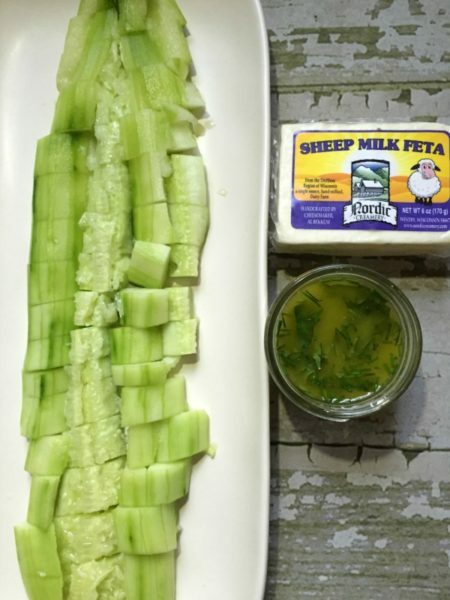 Then assemble the appetizer in a flash, using traditional feta cheese made from raw sheep's milk, and a lemon parsley dressing. 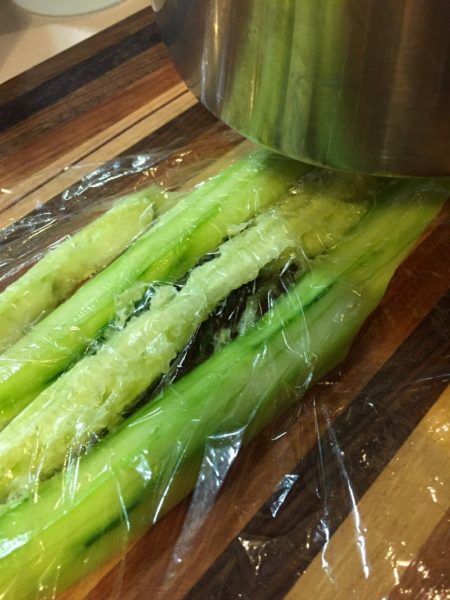 Place the peeled Cucumber on a large cutting board with a larger sheet of plastic wrap covering the cucumber on all sides. Get ready to smash: Using a heavy-bottom pan, press down on one end of the cucumber until you feel it start to crack. Now, starting at the same end, give your cucumber a few whacks until it starts splitting and smashing all the way down the length of the cucumber. After smashing, remove the plastic, and slice the cucumber with a knife into 1 inch slices, leaving the cucumber in it's original shape. Use a spatula to carefully transfer the cucumber onto a serving platter (it will take a few trips), recreating the shape of the smashed cucumber. Mix together your dressing: Parsley, Chives, Lemon Juice, Zest, Olive Oil, Sea Salt. 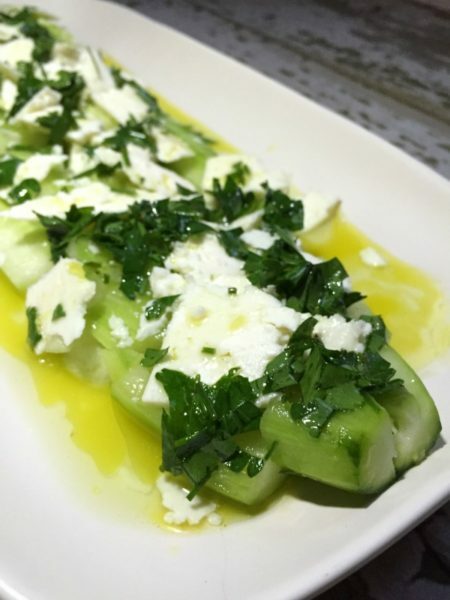 Right when it's time to eat, scatter the feta cheese pieces all over the cucumber. 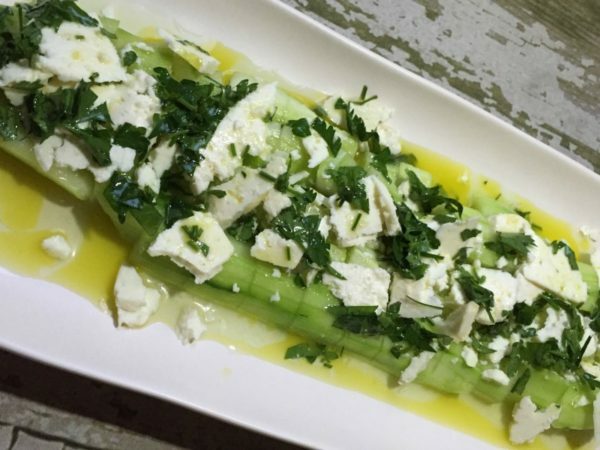 Drizzle the cucumber and feta with all of the dressing, being sure to cover the outside pieces of cucumber too. Serve with a spoon. This salad will save well in the fridge; even though it gets watery it's still delicious. 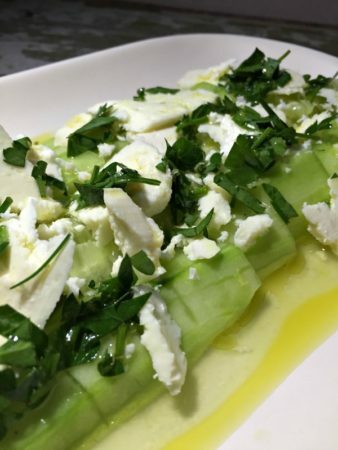 Feta is traditionally made with raw sheep milk cheese. Look for labels that say sheep milk, or unpasteurized sheep milk. Read the paragraph called "Longevity Tips" in the blog post where I explain the benefits of raw milk products. Raw or unpasteurized, milk in any form is a calf growth drink for calves only, not human consumption. And you don’t get get calcium from drinking milk, Any dairy product causes osteoporosis ! Let’s get current with the health tips. Hi Alexi, thank you for chiming in and sharing your opinion. I welcome all feedback and critiques delivered in a supportive manner. Milk is indeed a subject which arouses much controversy in the nutrition world, and with great reason! Raw milk is a completely different food. I understand your perspective that it is a food meant for calves only. I encourage people today to embrace their traditional foods in a way which maximizes the nutrients and minimizes toxins, but also brings them pleasure. This is in hopes that I do not have to encourage them to leave out entire food groups they enjoy (besides for food intolerances or various goals they may have). There are many agricultural societies and indigenous groups as far back as 10,000 years that depend on the milk of mammals for their animal protein and fat, valuing it for the life-sustaining properties. Cheeses made from raw milk contain an incredible array of enzymes that do not exist in pasteurized milk cheese, and makes the cheese more easy to digest. 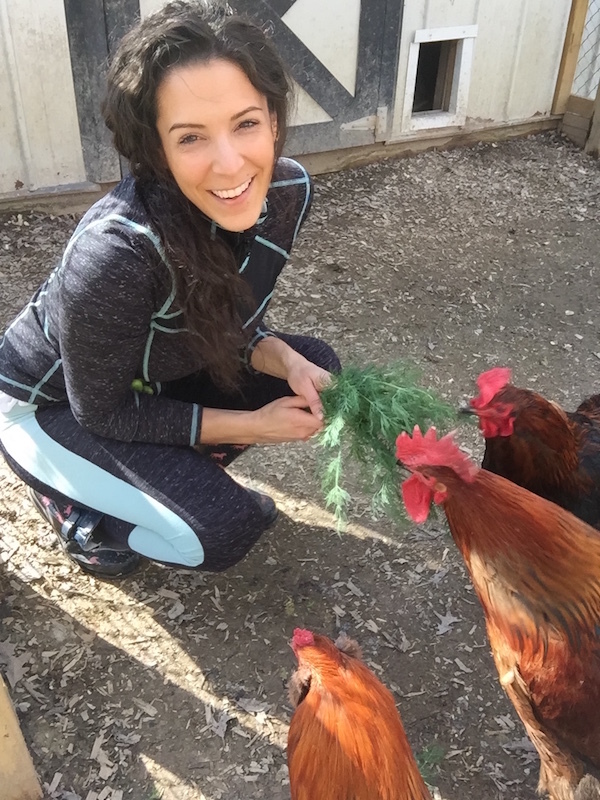 This year I teamed up with a fitness program, called My6Method, and we require every client to go dairy free for the duration of the program. I absolutely believe in the limiting of dairy foods, and the careful selection and preparation when we include them. I hope I delivered the relevant information in this blog post needed for readers to make a more informed decision. The goal here is not perfection. It is compatibility; the ability to exist together in harmony. And with this article I wanted to introduce the subject of raw milk products in place of pasteurized homogenized milk products. Baby steps.